Our heroes make another trip to the desert base and stumble onto a disturbing discovery. Their mission is made even more difficult as Odd, who broke a mirror just before leaving, seems to have brought nothing but bad luck onto himself and the others. A number of allusions in this episode are linked to episode 81 “A Lack of Goodwill”… For a better understanding, it’s preferable to have seen or read about this episode. The episode opens on Ulrich coming into his room and seeing Odd in the middle of throwing clothes out of his cupboard to find his regular outfit. He’s intent on trying to pick up a girl from his class: Azra. However, Odd unintentionally bumps a mirror and is breaks on the floor. Ulrich announces what this means in superstitious terms: seven years of bad luck! Odd, who isn’t superstitious, simply laughs at his friend! But as soon as he opens the door, Jim gives Odd detention for putting cheese in his shoes. Odd defends himself by calling out the real perpetrators: Herb and Nicolas! However, he’s still given detention for telling on his classmates! Once at the cafeteria, Odd discovers that there are no croissants left, nor hot chocolate, and he’s forced to eat dry toast, which doesn’t please him at all! The others tease him about superstition and the broken mirror. Odd doesn’t believe him and sees his prey: Azra. He asks her if she can teach him her language, as the girl is Turkish. It’s unfortunately at that time that Herb and Nicolas choose to come and get annoyed at Odd for telling Jim about them! Azra is disappointed by Odd and calls him an idiot in Turkish! Jeremy scoffs at Odd, pointing out that he’s just had his first Turkish lesson. He then tells the others that they’re going to go back to the Desert Replika and destroy the Supercomputer in New Mexico! 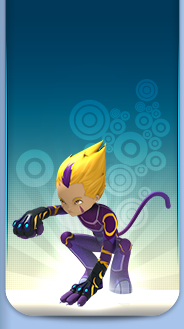 A little later at the factory, the Lyoko Warriors are on the Replika, the Skid docked. Jeremy Teleports Yumi first. Then, the Teleportation fails for Odd, so Ulrich is sent in his place! 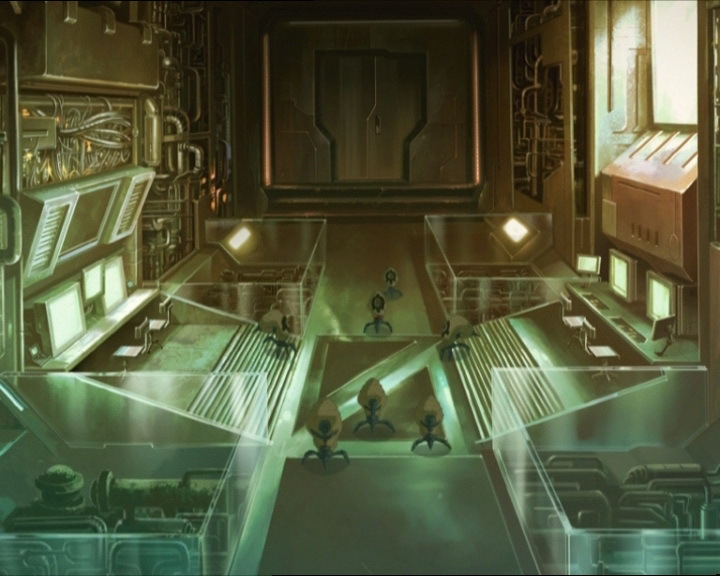 Yumi and Ulrich find themselves in the abandoned base. A tower is activated on the Replika: XANA Teleports Kankrelats to stop the two teens from going any further. They run away from the monsters and get into the base. 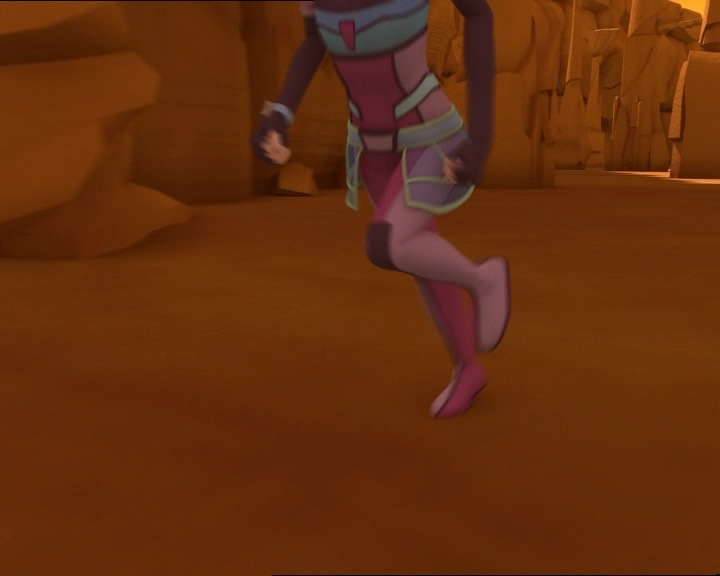 Aelita and Odd leave to deactivate the tower and come across Hornets. In addition, a mysterious bug affects Odd! He starts to crackle and becomes frozen, vulnerable! After destroying a Hornet, he bugs up again and falls from his Overboard, before being devirtualised by one of the monsters. 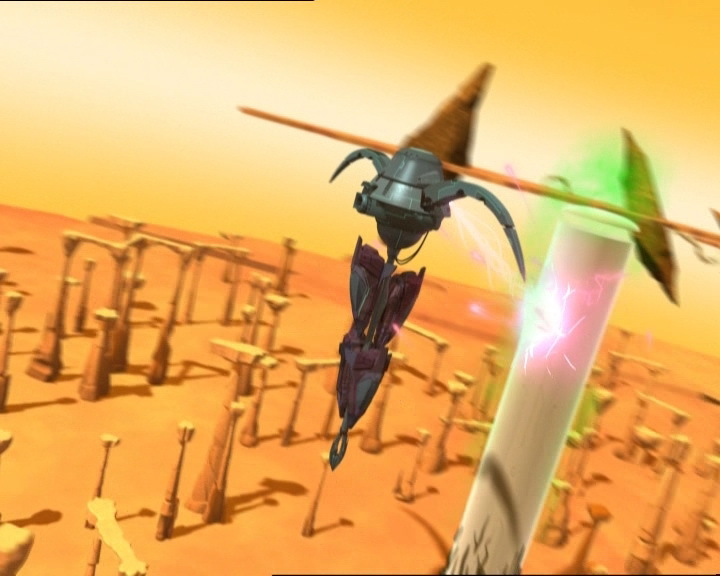 Aelita avenges him then rushes to the canyon where the tower is, followed by three new Hornets. Flying the Overwing skilfully, she tricks the Hornets into flying into rock pillars inside the canyon. One Hornet continues after her! Things continue to turn sour for the group: William arrives on the Replika, at the tower where the Skid is docked. 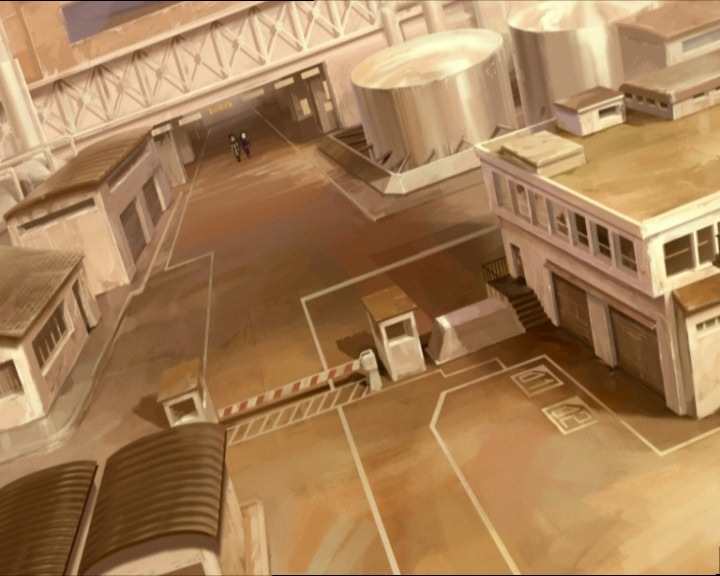 Yumi, exploring the military base, is deteleported to handle William. 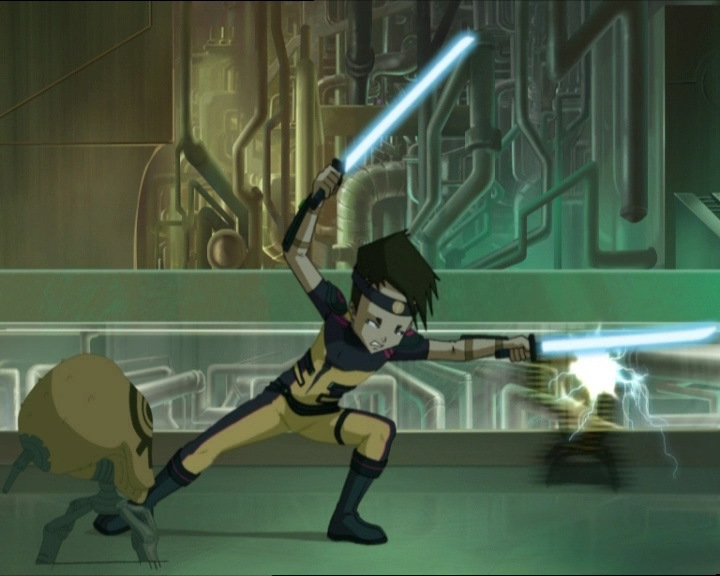 Using the rock pillars habitually to her advantage, she manages to harm William twice with her fans, and crush him under a pillar with her telekinesis. Jeremy doesn’t have time to Teleport her again to help Ulrich: the bug affects and devirtualises her! Ulrich must now manage without her help. In the Supercomputer room, there are 7 Kankrelats standing their ground! 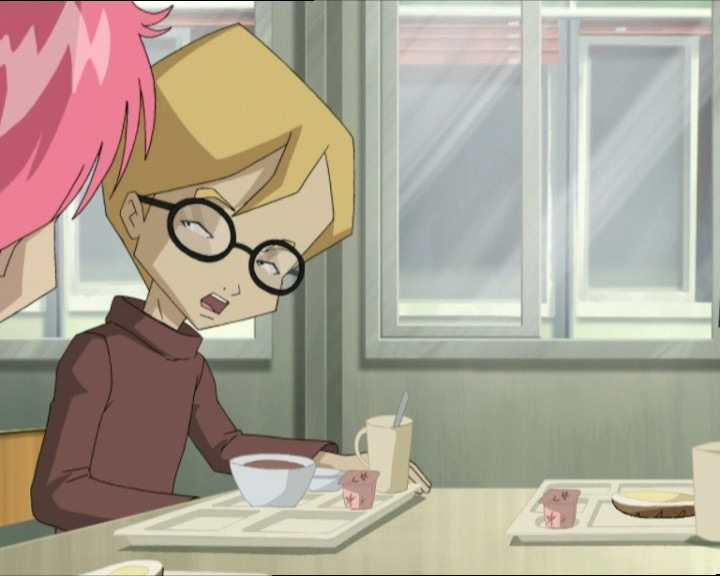 Ulrich can’t count on Aelita to stop them either. The pinkette is almost at the tower. She destroys the final Hornets. Ready to deactivate the tower, she falls victim to the bug and is devirtualised. Ulrich must manage on his own. In a heroic charge, he massacres the army of Kankrelats with his twin blades. Cheered on by all his friends, he realises that the bug is starting to affect him too. In a final effort before his deteleportation, he impales his sabres in the Supercomputer, then reappears in the scanners. The mission is a success: the Desert Replika is destroyed, leaving the two remaining Tarantulas trying to attack the Skid to fall into the Digital Sea. Jeremy launches a program he made to pilot the Skid remotely and get it out of the Replika, then back to its hangar. Jeremy then discovers the cause of all their problems: their Supercomputer has contracted a mandelbug. That night in the cafeteria, Odd trips while carrying his tray and realises that he’s cursed. He still remains hopeful nonetheless: he sees Azra has left her phone on her chair. Odd takes it and waits for a telephone call asking for the phone back! Night falls, Odd receives an SMS: meet me under the arches! 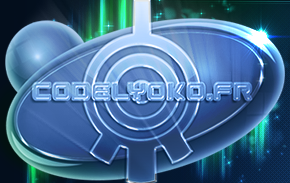 - Attack: Teleport Kankrelats to Earth, in the military base in New Mexico. - Destruction of the Desert Replika. - Only Teleportation of XANA’s monsters (Kankrelats) in the series. 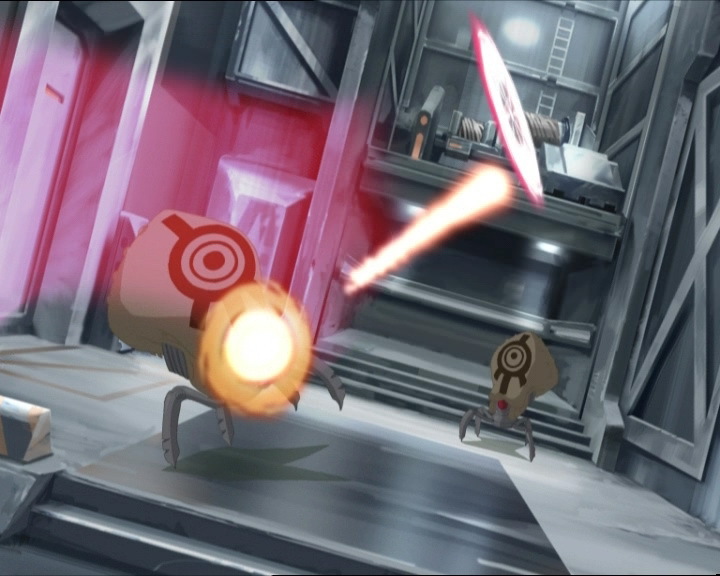 - In this episode, Ulrich uses Yumi’s fan. - Fourth time a character other than Ulrich uses his sabre. - Azra Urgup is Turkish. - Jim has a pink phone with hearts and flowers on the desktop background. - Jeremy knows a bit of Turkish. - Ulrich says he hates Megatanks but likes fighting Hornets. - Odd says he’s not superstitious. - The doors in the dorms often change colour (dark brown, turquoise blue instead of grey). - The handle on the door of Odd and Ulrich’s room is on the left instead of the right at the moment when Odd prepares to leave. - We see Yumi’s icon on the screen when Ulrich is fighting alone against the Teleported Kankrelats, when she’d already been deteleported. - The factory microphone disappears from Jeremy’s ear after Yumi finishes her fight with William and when he’s frustrated at the bug. - The halo of the tower the Skid docks on becomes red after the Skid leaves despite the tower not being activated by XANA. - We notice that in this episode, Odd isn’t superstitious, while in episode 69 “Wreck Room” he says he believes in prophetic dreams, though they aren’t exactly the same thing. - When Jeremy Teleports Odd, Ulrich and Yumi, he says “Energise” instead of “Teleportation”. 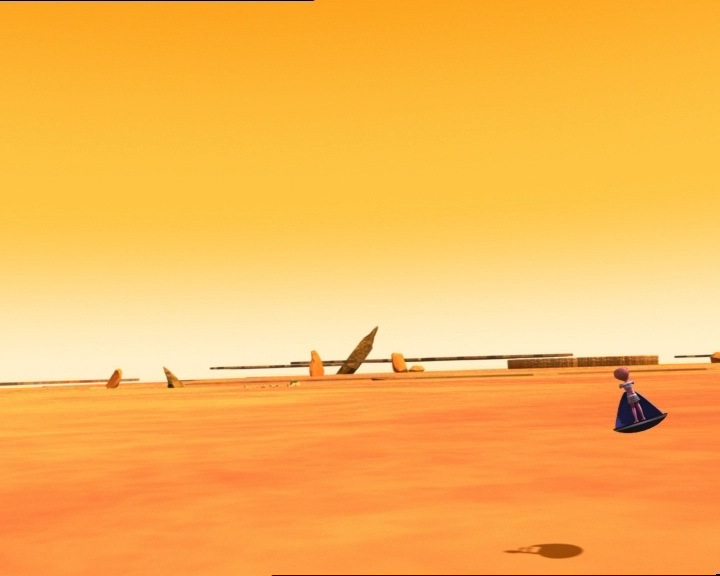 “Energise” is the term used for boarding the Skid, not being sent to the Replika Supercomputers on Earth. - This episode continues on from episode 81 “A Lack of Goodwill” in which the heroes had their first mission in the base in New Mexico. - Jeremy has developed a system to control the Skid remotely. - Final Teleportation of Ulrich. - Final appearance of Hornets. - First and only time we see XANA Teleport monsters. - Only mention of mandelbug. - Only Replika Odd isn’t Teleported to. 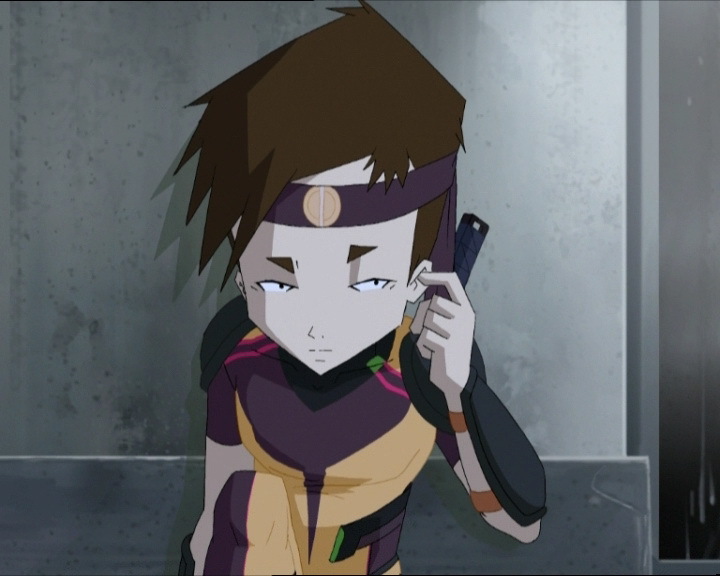 - Jim’s new phone is the same model as Yumi’s. - The episode reminds us of attacks in episodes 26 “False Start” and 39 “A Bad Turn” when XANA materialised Kankrelats and Krabes on Earth. - The bug the heroes experience because of the mandelbug manifests itself in similar ways to the bugs in episodes 61 “Sabotage” (when the Supercomputer is sabotaged) and 64 “Double Trouble” (when a polymorphic clone programs a bug). - In computer programming, a mandelbug is a bug whose causes are very complex and behaviour appears chaotic. Ulrich: Uh…hey Odd, if you’re trying to clean up the room, you’d better find another system. Odd: I don’t wanna be late for breakfast! Ulrich: So you can steal an extra croissant? Odd: Well yeah, but also to steal Azra’s heart! Where are my shoes? Ulrich (pointing): Uh, you just have to follow the stink! Jim: Della Robbia! I’ll bet you think it’s really funny filling my shoes with cottage cheese, huh?! You just earned yourself eight hours of detention! Yumi: Tea and dry toast, Odd? What are you, sick? Odd: No, not yet, but after I choke this down I will be! Ulrich: Walking under a ladder is like asking for bad luck. Yumi: In Japan, people avoid anything to do with the number 4, because it sounds just like the word for “death”! Aelita: Did you know that the word “rabbit” is bad luck for sailors? So is spilling salt when you’re on a ship! Odd: And I tell you that the only thing that’ll bring you bad luck is talking to an Odd about dumb superstition, because all you’ll get is being laughed at! Ulrich: By the way Yumi, I never asked you this. Which monsters do you like fighting the least of all? Yumi: The Kankrelats. I really hate fighting against big bugs, blegh! Yumi (noticing the Teleported Kankrelats): The Kankrelats! Ulrich: Yeah I know, you said that already! Jeremy: A bug in the virtualisation software, and the causes are so complex that its behaviour seems totally chaotic! And with no way to tell if the behaviour is really chaotic or just seems to be, it’s impossible to differentiate it from a bohrbug or a heisenbug! Odd: Couldn’t be any more clear! Jeremy (surprised): You mean it? Jeremy: Ulrich, I bet you want some good news! Jeremy: Uh sorry, don’t have any. Odd (looking at Ulrich’s movements on the screen): Hey, did you see that? Ulrich just knocked out three of them! Jeremy: But how did he do that? He’s only got two sabres! 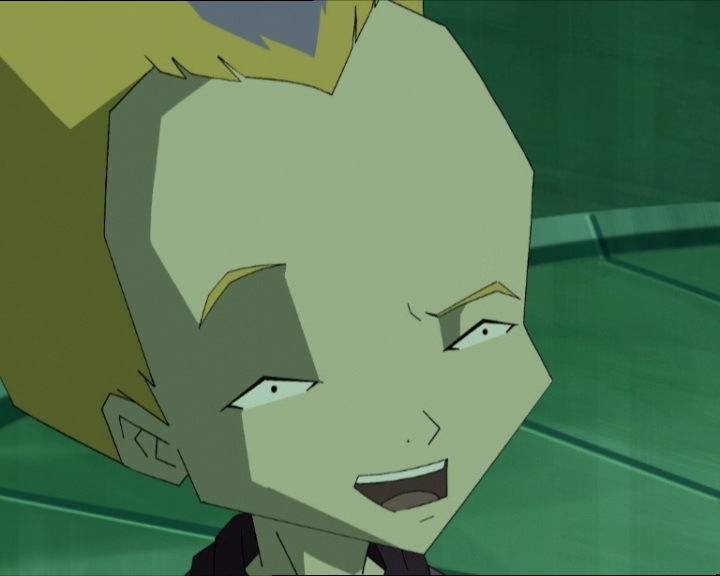 Aelita: Incredible! There goes another one! Yumi: He’s on a lucky streak today! Ulrich: Who’s the man today, guys, huh? Well, what do you think? Odd: Luck, buddy! That’s what I think! Odd: See you guys later, I’ve got a date with Cupid! Ulrich: Great! Tell Cupid we said hi! Jim: I like pink, got a problem with that? Look at the colour that you wear all the time.